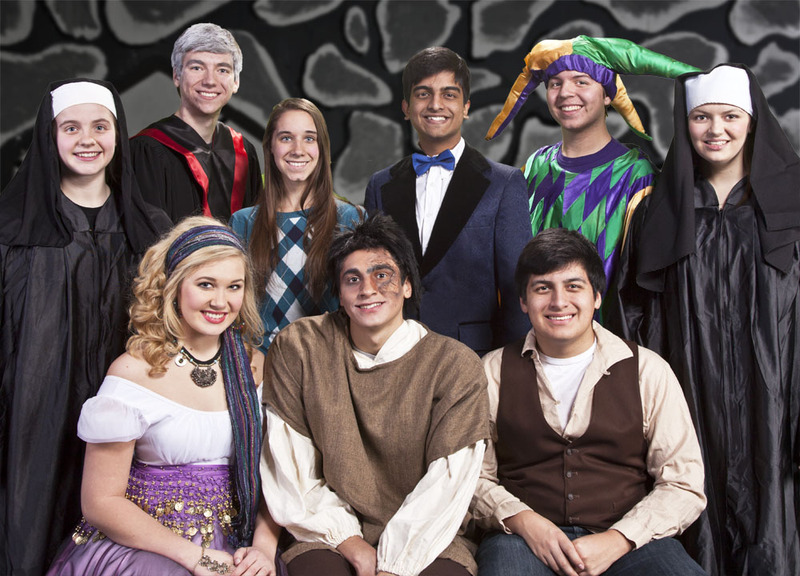 The Munster Theatre Company of Munster High School is pleased to present its first production of the season, with Bel Kaufman's, Up the Down Staircase. Based on her own experiences as a young, inner city school teacher. 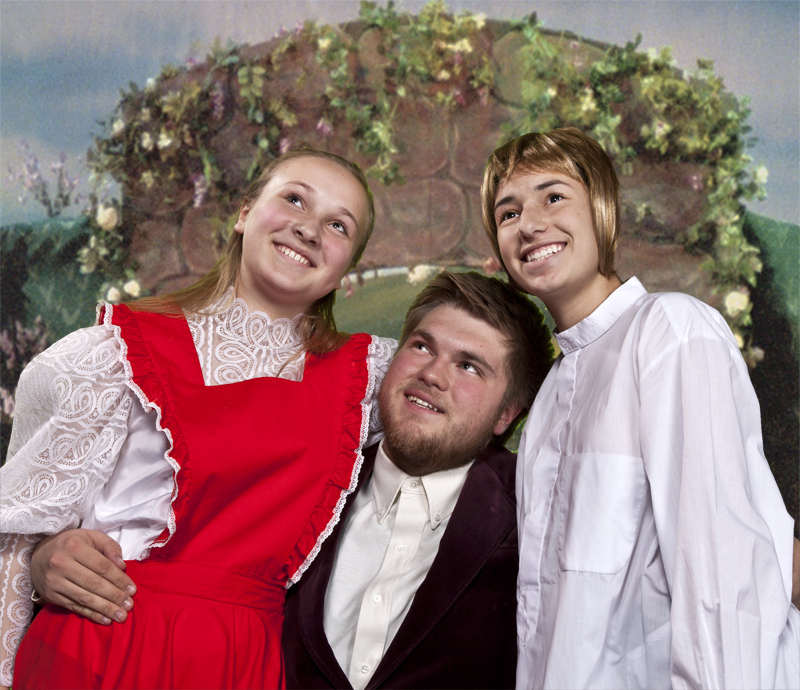 Produced by Larry & Carol Lynn Brechner, this full-length, student directed production will feature Munster High School seniors, Laurel Demkovich and Maddie O'Dea, and Ethan Courtney as Assistant Director. 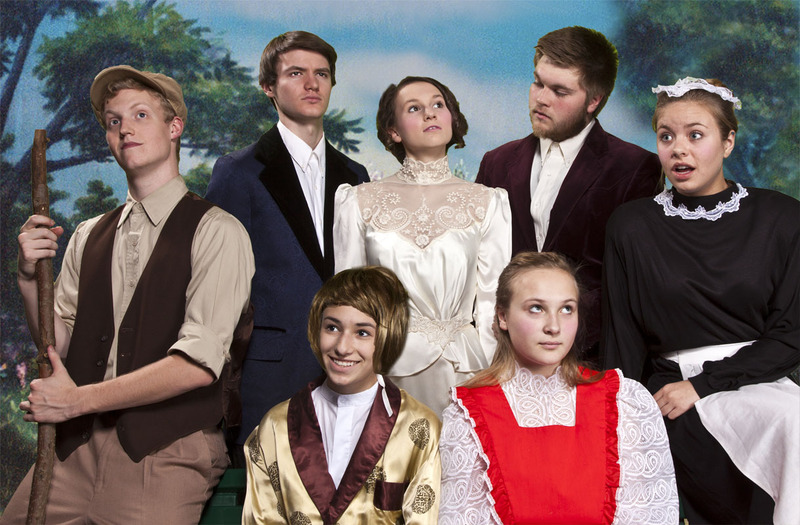 The Novice production features the talents of new freshman and sophomore actors (or juniors or seniors who have never been on stage before). 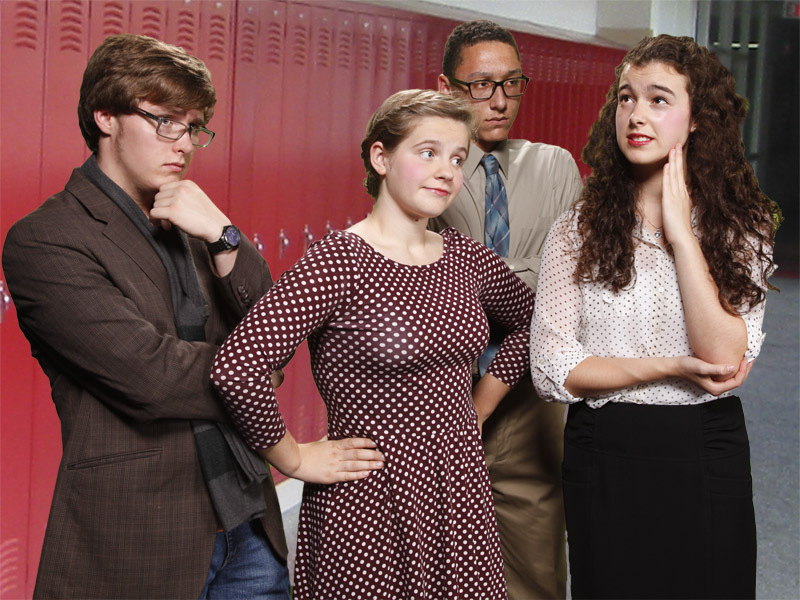 It is a bittersweet drama about Sylvia Barrett (Alyssa DeJoan), an idealistic, first-year English language teacher at an inner-city high school, who hopes to nurture her students' interest in classic literature (especially Chaucer and writing). 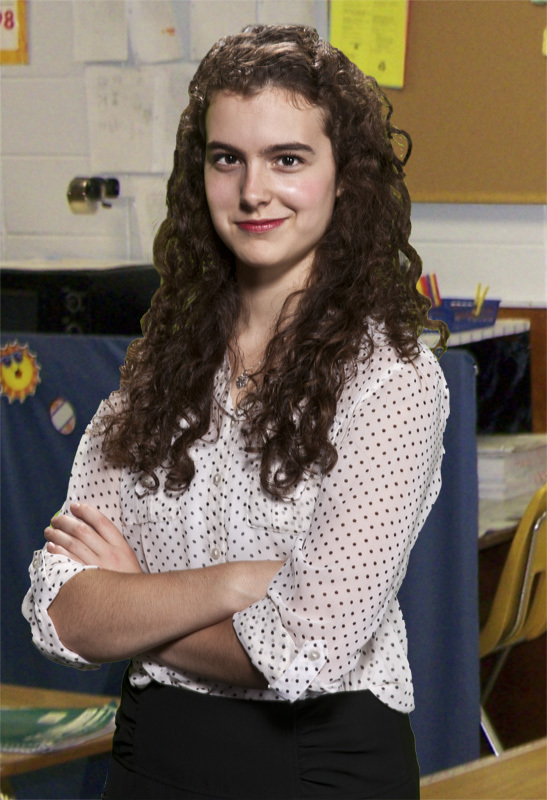 Sylvia quickly becomes discouraged during her first year of teaching, frustrated by layers of bureaucracy. 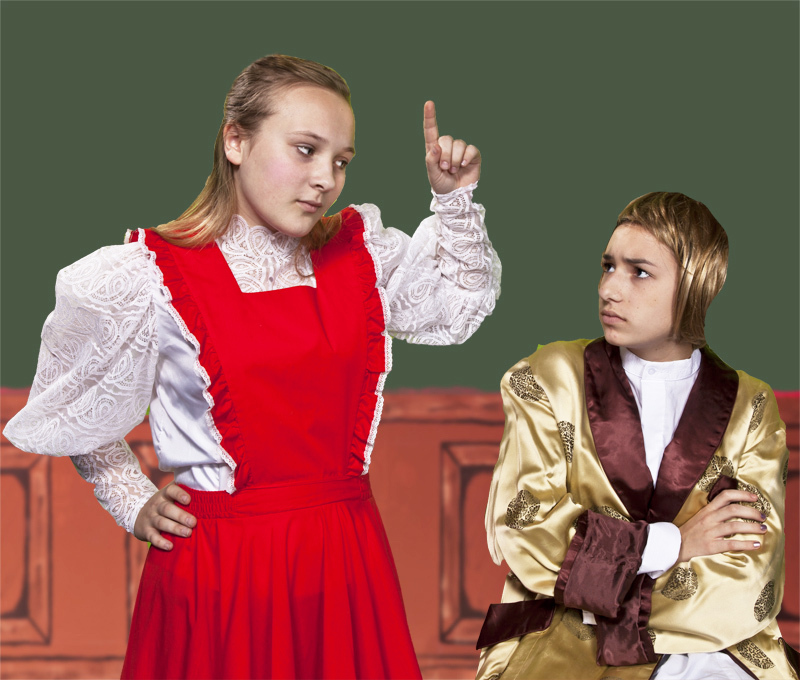 She is befriended by Beatrice Schachter (Alex Raycroft), another teacher, who is a little older and more experienced than Sylvia. Beatrice is energetic, enthusiastic also becoming Sylvia's mentor. 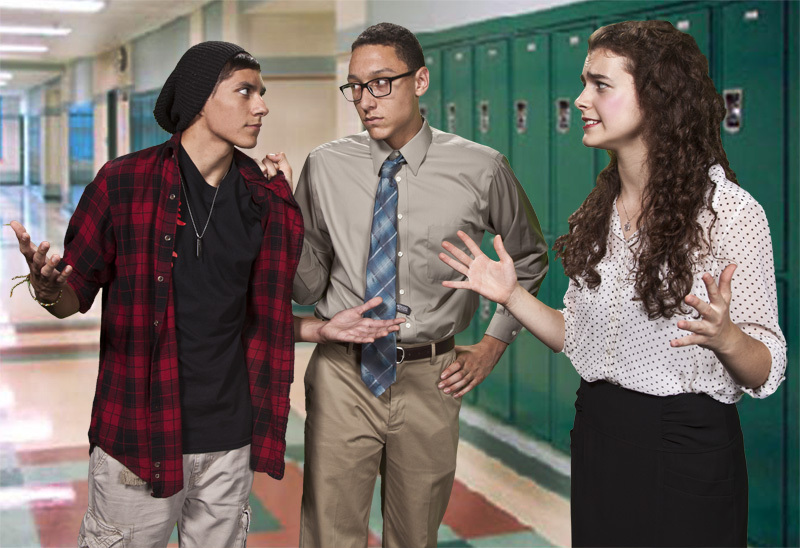 Sylvia reaches out to encourage Joe Ferone (Alex Ramirez) a hostile, yet handsome young man with a high I.Q., who is failing almost every subject. He has a rough home life, so he does not trust or believe anyone - especially adults. J. J. McCabe (Antoine VanDyke), the dean in charge of discipline, is a complex person who comes across as strong and sometimes angry, though he actually cares quite a lot for his teachers and students. He has little tolerance for the violation of rules and Joe often finds himself at odds with McCabe. 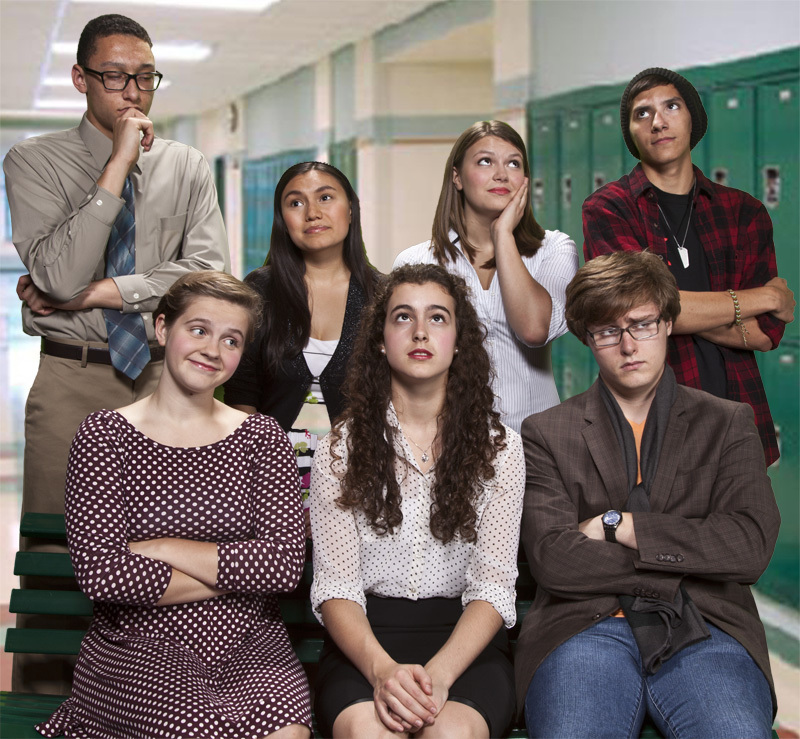 Paul Barringer (David Green) is a young English teacher who is very much admired by the female students at the school especially Alice Blake (Mariah Villaroman) a romantic, sensitive student who develops a huge crush on Mr. Barringer. Paul feels teaching is only temporary. He actually hopes to be a writer and will leave teaching as soon as he is "discovered" as an author. Sylvia exchanges letters with her best friend back home, Ellen (Taylor Merkel), who offers advice and support to her frustrated friend. 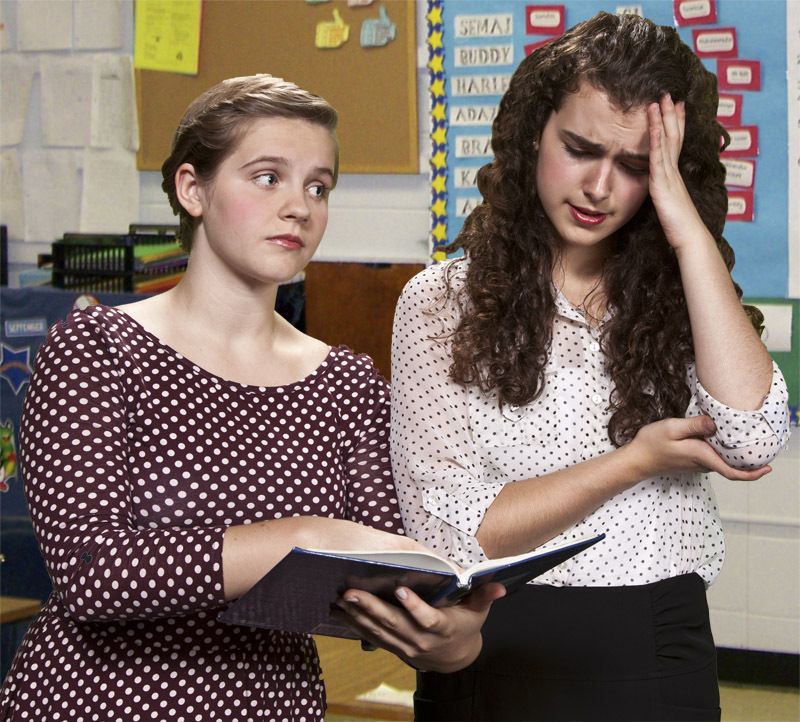 Sylvia quickly becomes discouraged during her first year of teaching, frustrated by (the name of the novel refers to an infraction for which one of her students is punished for going Up the Down Staircase), the indifference of her students, and the incompetence of many of her colleagues. She decides to leave the public school system to work in a smaller private setting. She finds the bureaucracy to leave is almost as difficult as staying. But will she change her mind? Has she actually made a difference and indeed, touched the lives of her students? 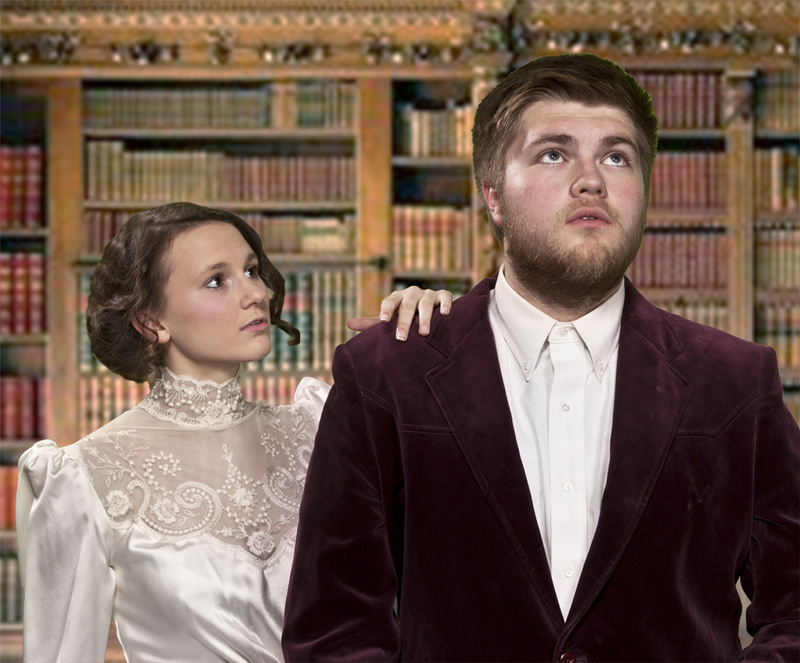 Up the Down Staircase will run Thursday and Friday October 9 & 10 at 7pm in the Munster Auditorium. Orphaned in India after a cholera epidemic kills her parents, 11 year-old Mary Lennox (Chloe Jancosek) returns to Yorkshire to live with her embittered, reclusive, hunch-backed widower uncle Archibald Craven (Casey Terry). Archibald is still overcome by grief over the death of his wife Lily (Peyton Tinder), Rose’s sister and Mary’s aunt, who appears along with many of the people from Mary’s past as “dreamers” throughout the musical. The management of Archibald’s manor house is largely left to his brother, Dr. Neville Craven (Thomas Speranza), who has left his practice to care for Archibald and his bedridden 10-year old son. After Archibald meets Mary for the first time and along with Dr Craven, they both see a strong resemblance to Lily in Mary, especially when she asks for “a bit of earth” to plant her own garden. Chambermaid, Martha (Allison Hemingway) brings some cheer into the sour disposition of Mary, and encourages her to get outdoors. 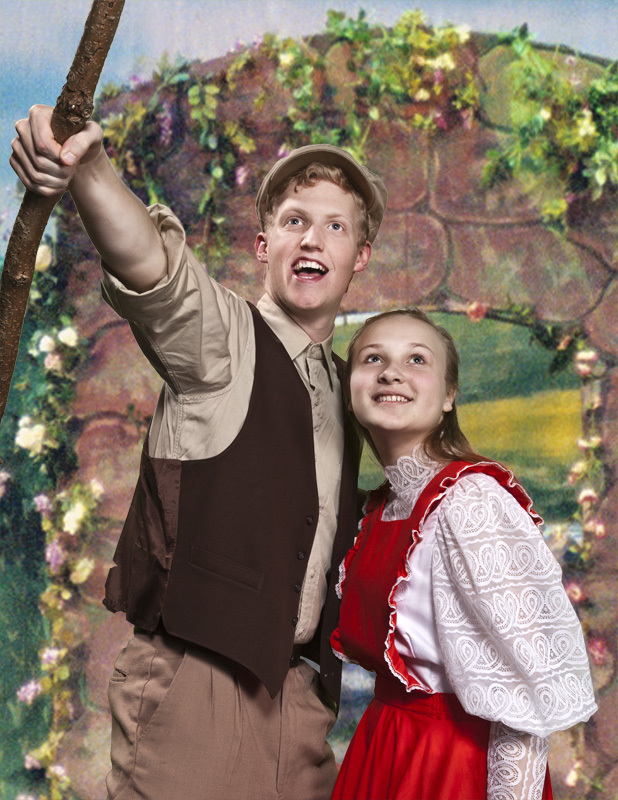 Mary discovers Ben Weatherstaff (Rohan Chatterjee), the old gardener and Dickon (Drew Adams), Martha’s brother, who befriends Mary in his outdoor world. 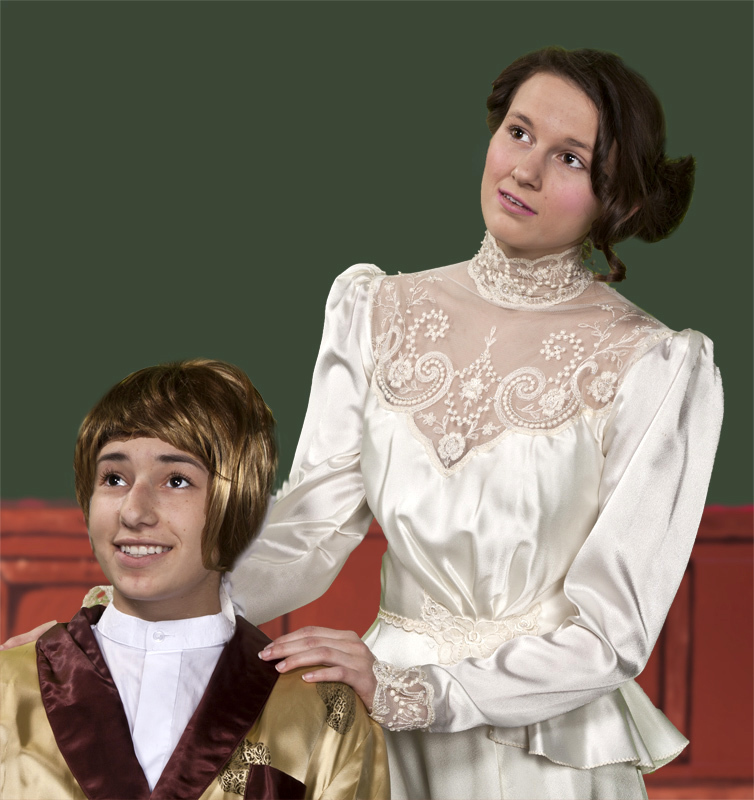 While wandering the manor an night, Mary discovers the bedridden Colin (Ani Arzumanian), and after a testy first meeting, encourages him to join her in the outdoors. Mary discovers the estate's many wonders that include Lily’s neglected magic garden, locked since her death. Mary finds the key and door to the garden and along with Dickon and Ben, the garden beckons them inside. They decide to secretly restore it to its former glory. Lily comes to Colin in a dream and encourages him to come to the garden in hopes of restoring him to health and Archibald to find peace. As Lily’s garden is restored, Colin likewise seems to be restored to health. 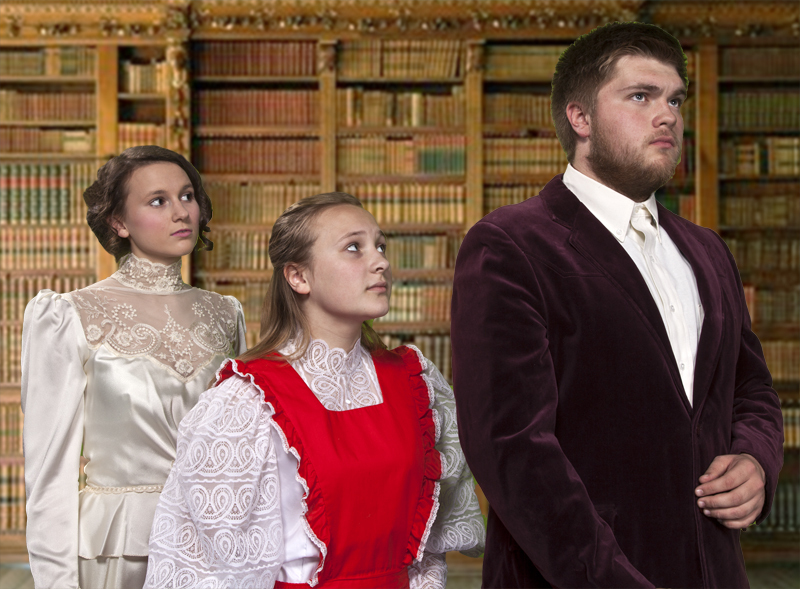 With its haunting melodies and the "Dreamers", spirits from Mary's past who guide her through her new life, dramatizing The Secret Garden's compelling tale of forgiveness and renewal. 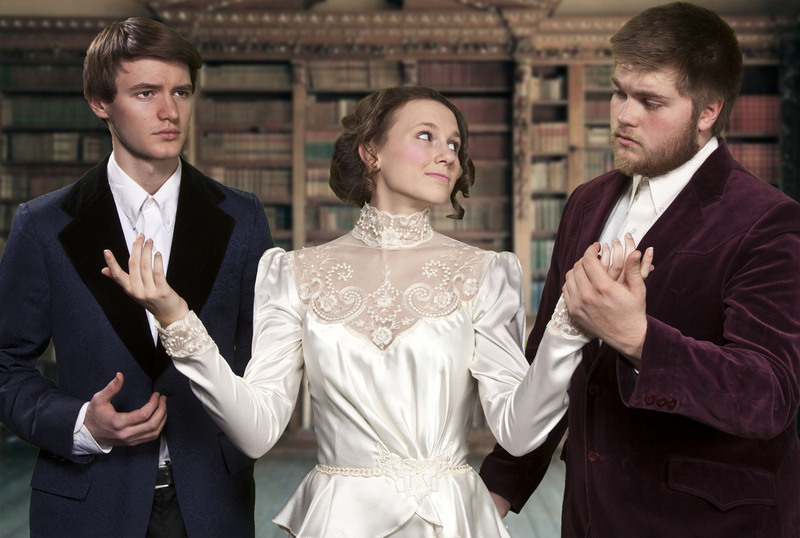 The Secret Garden, will enchant audiences. 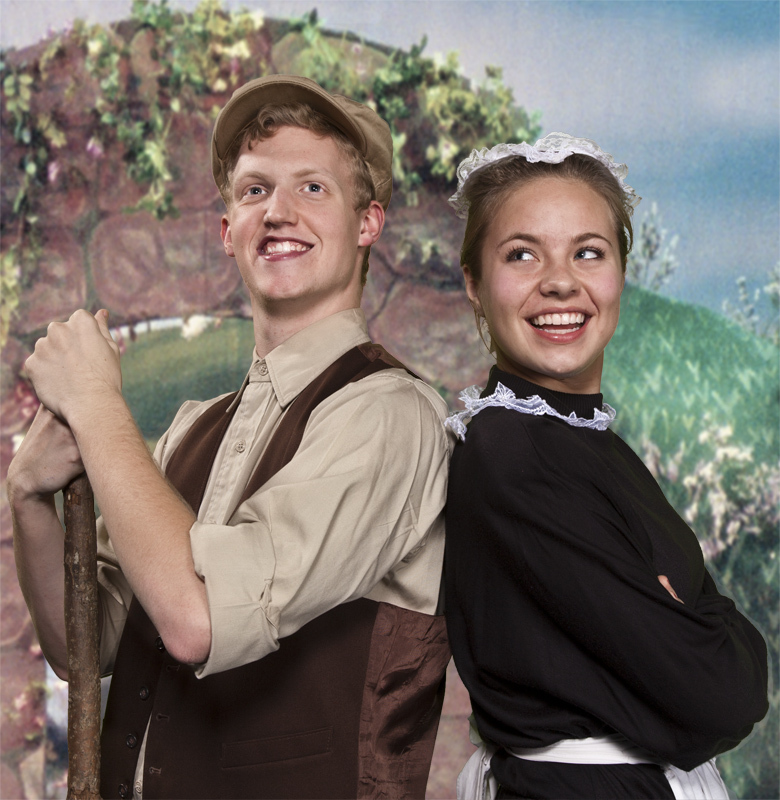 It run Thursday, November 20; Friday, November 21; Saturday, November 22 at 7pm, and Sunday, November 23 at 2pm in Munster Auditorium. Adult tickets are $7 (senior and student tickets $5). Tickets are available at the Auditorium Box Office on performance nights or in advance by calling: (219) 836-2235, by email at MunAud Box Office. 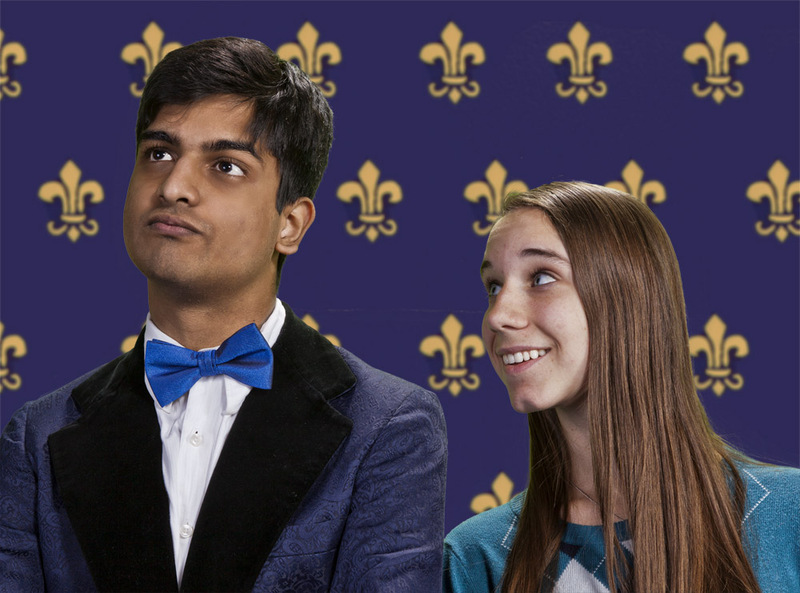 Two narrators, Souffle (Rohan Chatterjee) and his hyperactive younger sister, Cheese (Claire LeMonnier), relate this adaptation of Victor Hugo's French literary classic. Quasimodo (Trey DeLuna), a deformed but lovable man, has spent his entire life within the walls of the cathedral of Notre Dame. 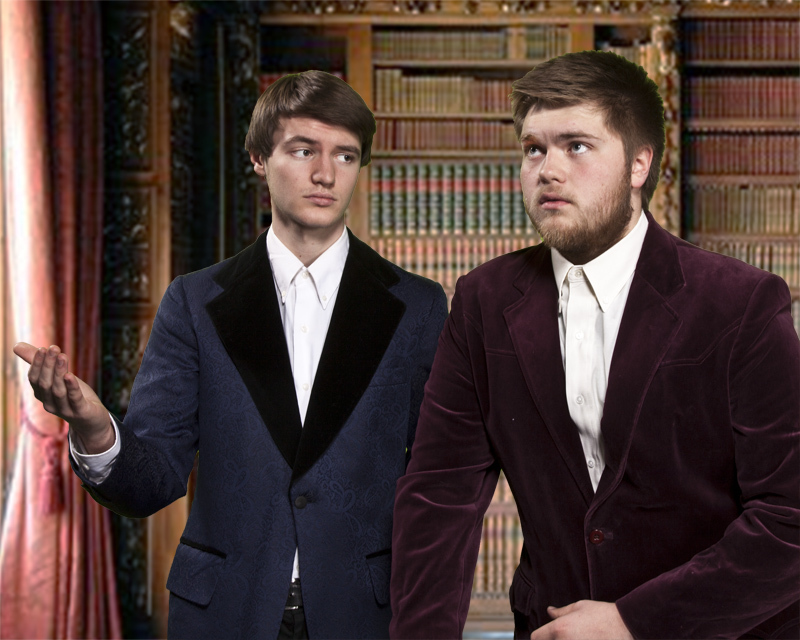 With some urging from two zany nuns (Alex Raycroft & Taylor Merkel), he attends the Festival of Fools. 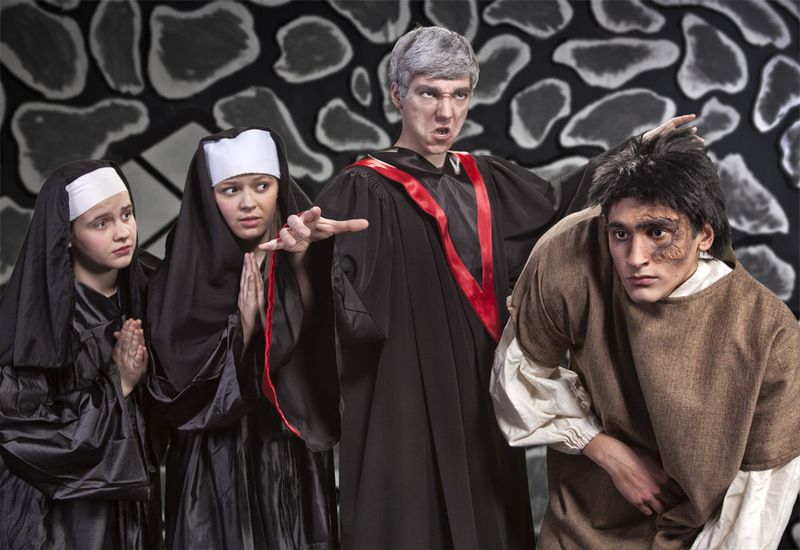 This greatly displeases his guardian, Archdeacon Frollo (Billy McDunn), and he forbids Quasimodo to ever leave Notre Dame again. 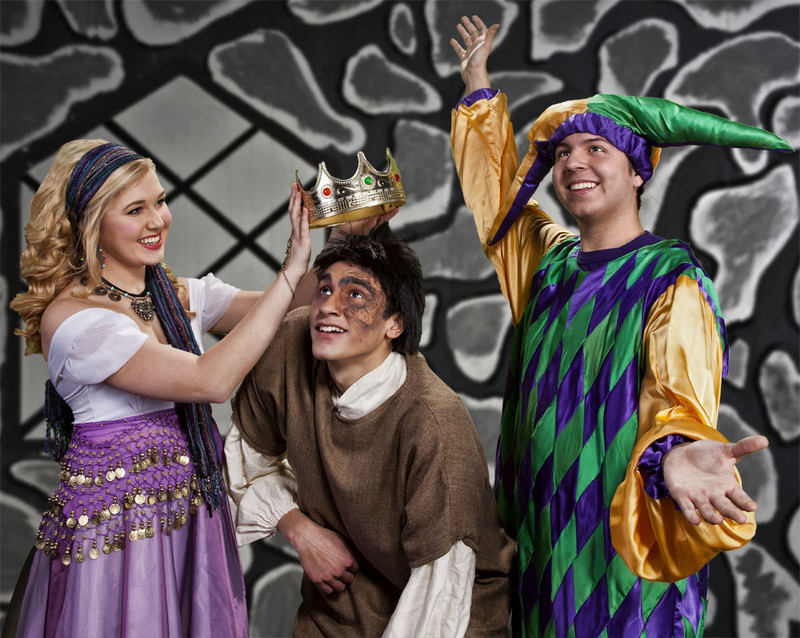 While at the Festival, Quasimodo was crowned the King of Fools (the ugliest person at the festival), by La Esmeralda (Anna Bilse), the gypsy queen, and the Court Fool, Clopin Trouillefou (Jonathan Neeley). Also at the festival are , and Pierre Gringoire (Ethan Courtney), a playwright. Frollo is taken by La Esmeralda's beauty and determines to have her, sending the guards after the gypsy queen to capture her. Both Quasimodo and Gringoire attempt to save La Esmeralda, resulting in Quasimodo's two-day punishment in the town square without food or water, and Gringoire's narrow escape from hanging by the peasants' Court of Miracles. 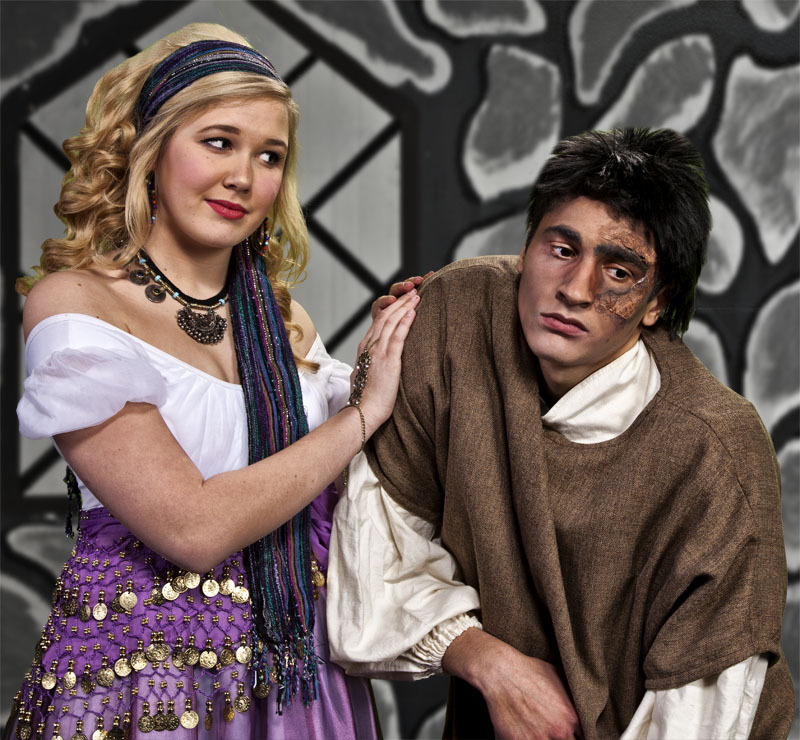 La Esmeralda gives comfort to Quasimodo, by bringing him water. 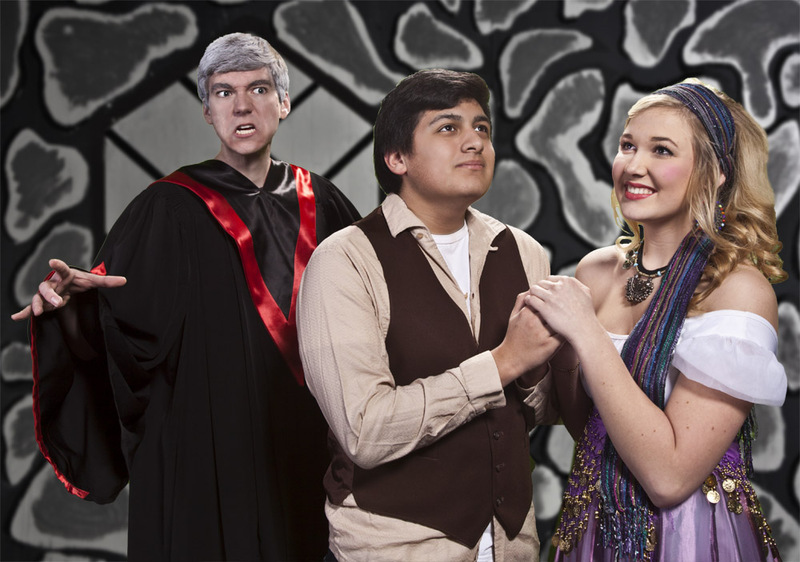 Frollo, desperately jealous, stabs Gringoire and then frames La Esmeralda for the stabbing. Though La Esmeralda is to be sentenced to death, Quasimodo saves her for the time being, by taking her into the cathedral of Notre Dame and sanctuary. 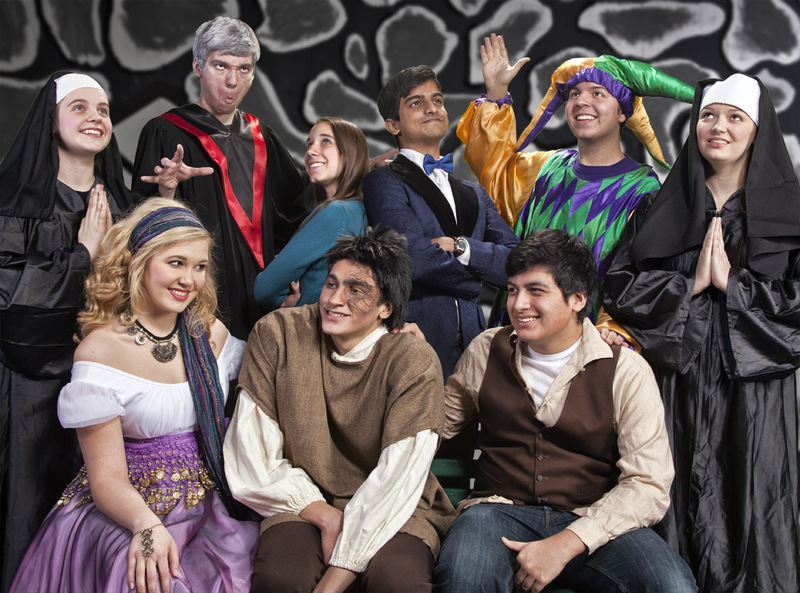 A dramatic climax follows with the fate of Quasimodo, La Esmeralda, and of others, plus much more. Tickets are available at the Auditorium Box Office on performance nights.